Submissions are due by 2/25/19 and winners will be notified by 2/28/19. Note: self nominations will not be accepted. The Outstanding Leadership Award is presented to an adult education administrator with five or more years of experience who has made an outstanding contribution toward fostering the concept of education as a continuing life-process. The awardee must demonstrate a contribution to adult education at the community and state levels. 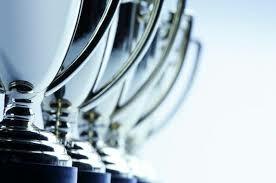 Has received awards and/or recognition for his/her work. The Outstanding Practitioner Award is presented to an adult educator, student support specialist (case manager), MIS specialist, or other practitioner within adult education. Three or more years of adult education experience is required as well as participation in activities that promote the program within the community. This award is given to an individual who understands the characteristics of the adult learner and who is committed to the adult/continuing education profession. The Outstanding Volunteer Award is presented to a tutor with three or more years of adult education tutoring experience and who participates in school and community activities. This award is given to an individual who understands the characteristics of the adult learner and who is committed to the adult/continuing education profession. The Outstanding Student Award is provided to a student who has demonstrated significant learning gains and/or outcomes while overcoming difficult circumstances in efforts to pursue adult learning, who has supported other adult learners, and who has managed significant adult responsibilities such as those related to employment, family, or community. The Workforce Innovation and Opportunity Act (WIOA) calls for partnerships among WIOA-funded agencies, employers, Workforce Development Boards, CareerLinks, training providers, coalitions, and public/private/government sectors. Is there a partner that you would like to nominate who has demonstrated significant dedication to the success of adult education services? It could be a WIOA partner, a business, an elected official, a Coalition, and/or any other individual or group which is fully invested in the success of adult education. If so, please consider nominating your outstanding partner (group or individual) for the Outstanding Partner Award! Joan Y. Leopold served as a board member of the Dauphin County Library System for more than 20 years and was an ardent supporter of PAACE. Joan’s untimely passing in 2006 continues to resonate in the PAACE organization today. A tireless advocate for adult literacy, her belief that reading opens a world of education and imagination lives on in all those she touched through her efforts. The Joan Y. Leopold Service Award is provided to any PAACE member who has provided outstanding service to PAACE.